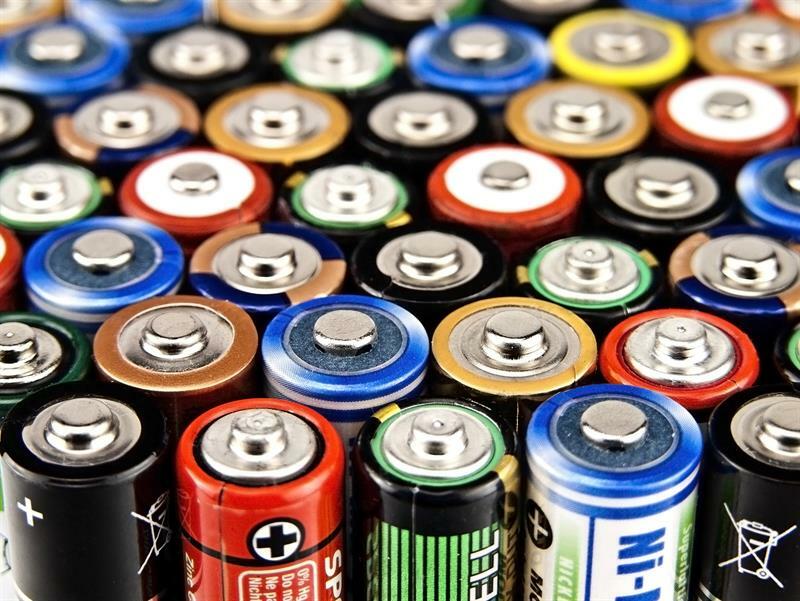 Launched in January, the Urban Mine Platform (urbanmineplatform.eu) hosts the first EU-wide and open-access database of materials present in ‘the urban mine’, from end-of-life vehicles and spent batteries to waste electrical and electronic equipment (WEEE). The concept of ‘urban mining’ has been around for several years, but this is the first time that data has been gathered to quantify a specific part of it. Created by 17 partners in the ProSUM (Prospecting Secondary Raw Materials in the Urban Mine and Mining Wastes) project, the platform documents the flows of both precious and base metals and critical raw materials within products, in use and stored, and arising as waste at end of life. The EU is reliant on imports of many raw materials, some of which are critical raw materials for manufacturing, including the development of new low-carbon technologies reliant on more specialist metals and alloys. There are economic and environmental advantages of meeting part of this demand with secondary raw materials recovered and reprocessed closer to home. The aim of the ProSUM project was to provide a state-of-the-art knowledge base using the best available data in a harmonised and updatable format, which provides the recycling industry and policymakers with more information concerning the potential to increase the recovery and supply of secondary raw materials. Simply put, ProSUM has sought to provide data which improves knowledge on the amount of similar secondary raw materials in the urban mine. The issue of critical raw materials has been on the radar for a number of years and material use in the EU and UK is also a key feature in more recent policy initiatives concerning the circular economy. The provenance of materials is now also increasingly under the spotlight with new legislation regarding ‘conflict minerals’ (material imported from politically unstable areas), which comes into force in the EU in 2021. These conflict minerals can find their way into our mobile phones, cars and jewellery. The new law aims to bring an end to this, as it requires EU companies to import these minerals and metals from responsible sources only. So when thinking about non-virgin, conflict-free material supplies, the Urban Mine Platform is a useful tool to help UK and EU industries by providing a better picture of where waste sources are and, more importantly, giving a detailed breakdown of the valuable materials in the waste. Recyclers can also use the platform to identify trends and patterns in material use in products and estimates for waste arising until 2020. It is hoped that this will be useful information for the recycling industry in understanding when some product types and materials will stop arising in the waste stream and when others will increase. A classic example of this is the switchover from CRT to flatscreen TVs. As well as the data in the platform, further charts outlining some of these trends are also available in the final project report. For producer compliance schemes like REPIC, the data from the platform and associated intelligence enables us to understand how the WEEE landscape will change in future. Specifically, here in the UK, the platform could help to supply some of the evidence base for Defra’s 25 Year Environment Plan and the Resources and Waste Strategy, which aims to stimulate UK markets and achieve greater used of recycled materials in products. We are the second-largest member of the WEEE forum, with a shared objective to improve intelligence, operational performance and knowhow, and support the transition to a circular economy. Leading this project has been a crucial milestone in prospecting for the material resources in WEEE and supporting these objectives. The UK has robust data about EEE products put on the market and officially collected by REPIC and other producer compliance schemes. There is also good data for what is recycled and recovered at approved authorised treatment facilities. However, there is a need to better document what happens to products still in use and recycled and disposed of through other channels. This is a key recommendation from the ProSUM project. By providing these insights into WEEE, in the long term the platform could help bring the UK closer to a circular economy by helping to identify which valuable raw materials are already being recycled, and which are being wasted. The data in the platform does not provide all of the answers yet and we still have work to do to digest all of the information. This new knowledge base hasn’t provided a route map but it has provided us with the tools to better plot a course. How does the Urban Mine Platform work? The platform is a dedicated web portal that is populated by a centralised database containing all readily available data on market inputs, stocks (in use and hibernated), composition and waste flows of EEE, vehicles and batteries for all EU 28 member states, plus Switzerland and Norway. Its user-friendly design features dedicated applications allowing users to select and produce charts and to quickly download resulting data under development. The knowledge base is complemented with an extensive library of more than 800 source documents and databases. A number of dynamic charts allow users to access detailed data and market intelligence on the ‘urban mine’, which represents the number and type of products placed on the market, in stock (in use and hibernated) and generated as waste. It also looks at ‘The Composition’ specified for key components, materials and elements – such as aluminium, copper, gold and neodymium – contained in products. Users can access ‘The Waste Flows’, including reported collection amounts, complementary recycling, exports, amounts scavenged and disposed of in mixed waste. You can view the metadata, methodologies, calculation steps, data constraints and limitations, which are made explicit. This complete transparency means users can review the key information and make a judgement on the data quality of the sources used. If they have any questions, the contact details for the researchers who supplied the data are also available so that more information can be requested if required. We initiated this project because there has been a real dearth of data and intelligence to properly assess the material recovery potential of the complex products that make up WEEE. This work is a significant step forward in understanding the potential for recycling, now and in the future. At REPIC, we hope that this work, coupled with the study we are currently undertaking with Lancaster University to update UK WEEE flows, will help us in the UK to optimise WEEE recycling, economically and environmentally.